With the launch, it seems only appropriate to have our final style installment explore what the gentlemen will be wearing this summer 2013. Yes, tropical prints were included in our trends for women but you just can’t get away from these prints this summer. There’s usually a sense of escapism that permeates summer style (for obvious reasons) but this year it’s almost hedonistic. The move away from pastels to neons, holographic accessories, insane prints; this summer the theme seems to be excess…with a healthy sense of knowing when to reign it in. Tropical prints are indicative of this season’s gotta-get-away mentality. 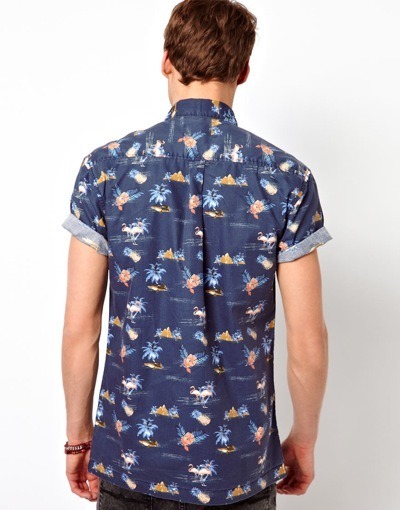 Hawaiian shirts are popping up on dudes on the streets, worn semi-ironically. Muted prints, like the one we featured above, are more the way to go with this trend… too bright and it’ll be dad-at-a-luau time. 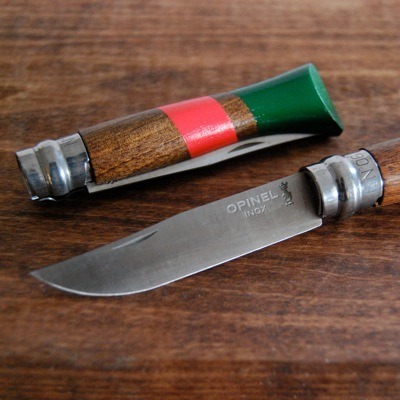 Footwear during the summer can be a bit of a predicament for the classy gentlemen. Flip flops 24/7 aren’t a good look unless you’re Matthew McConaughey and that’s your schtick. A low-cut, cool oxford is the way to go to dress things up a bit when the flip flops and sneakers get old. 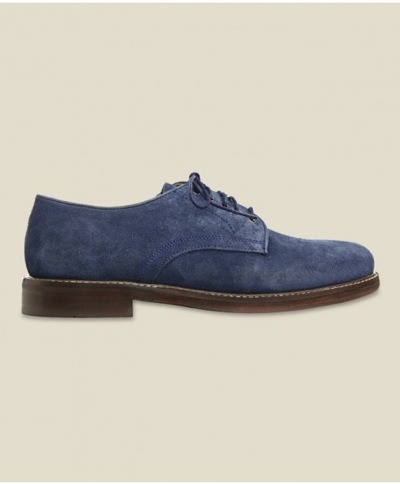 This H by Hudson blue suede oxford (shout out to Stag in Austin for the discovery!) 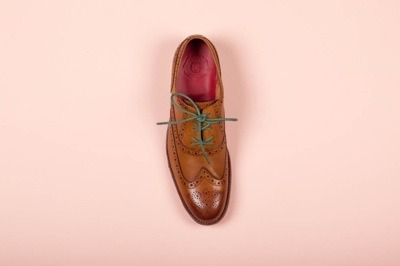 is one way of doing something a little different than your leather oxford while still maintaining a classic look. Being able to say “blue suede shoes” in a singsong voice in an added plus. Dress ‘em up with these rad laces from Mavericks, an Australian business specializing in shoe laces. That tropical print shirt? Can’t stop with just that. 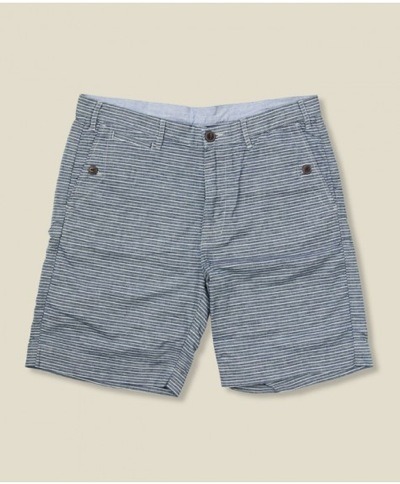 Printed shorts are in style blogs and on the streets but you can go as understated or as crazy with these as you’d like. 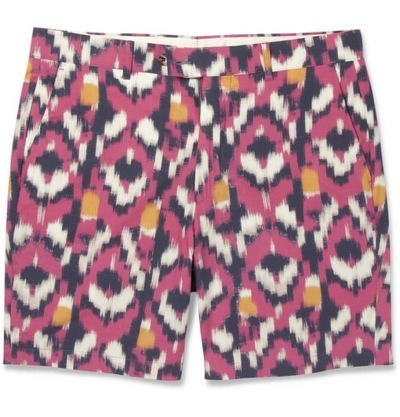 The sweet ikat-print shorts above will suite the adventurous, unabashed sophisticate. Those babies don’t mess around. The Penfield shorts above are laidback summer cool and you’ll be more low key at the beach or on the baseball field. Printed shorts are a little more unexpected than a crazy tropical print shirt, and add a pop of color without overwhelming. The great thing about trends this summer, for guys and gals, is that they’re sort of all over the place. So have fun, go a little crazy, get down with your bad self. It’s summertime!